Anyway, I am on week 2 of my challenge and I have all the tips which are coming my way. “You say that the best thing about your job is not having a boss but actually you sound like you have a very demanding boss who wants you to do lots of things – you! You put pressure on yourself to do everything. Try to remember everything does not have equal importance rather than thinking everything has to be done. Make sure that what you have on your to-do lists are things which you have to do – this helps reduce the list and pressure. Overall, it sounds that whilst you report high levels of stress, in many ways this is your normal state – consider whether you really want to make significant changes if this has always been the case”. “Sleep is essential to help you be better prepared to tackle stress. Prepare yourself for a good night’s sleep by having some relaxing time before bed. Avoid anything which makes your mind active such as online gaming and turn off your laptop or mobile devices so they don’t distract you from slumber”. “To get extra portions of your 5 a day in your diet, try different vegetarian dishes. Roasted vegetables are a great accompaniment to any meal you make, just chop up your favourite vegetables, add some seasoning and herbs of your choice and put in the oven until cooked. Try changing the seasoning for added variety”. So what do I think about my week one tips? … However I must agree with Dr Doug, especially regarding my sleep routine. Normally I would go to bed and then play a puzzle game or a round of scrabble, which is not helping me to calm down and more importantly keeping my brain activities quiet… therefore I wanted to follow this tip religiously so I decided it was time for a change: no mobiles allowed in or near the bed; to my surprise it really helps. Now instead of staring at my mobile I will have a “quiet” conversation with Mark (he always asks me why am I shouting when he is right next to me) and just drift off. It is much easier now to fall asleep. I received 4 more tips for week two, which are actually quite interesting… The diet tip from Paddy is definitely my favourite one, but let me try them out for a week and I will tell you all about them in seven days’ time. 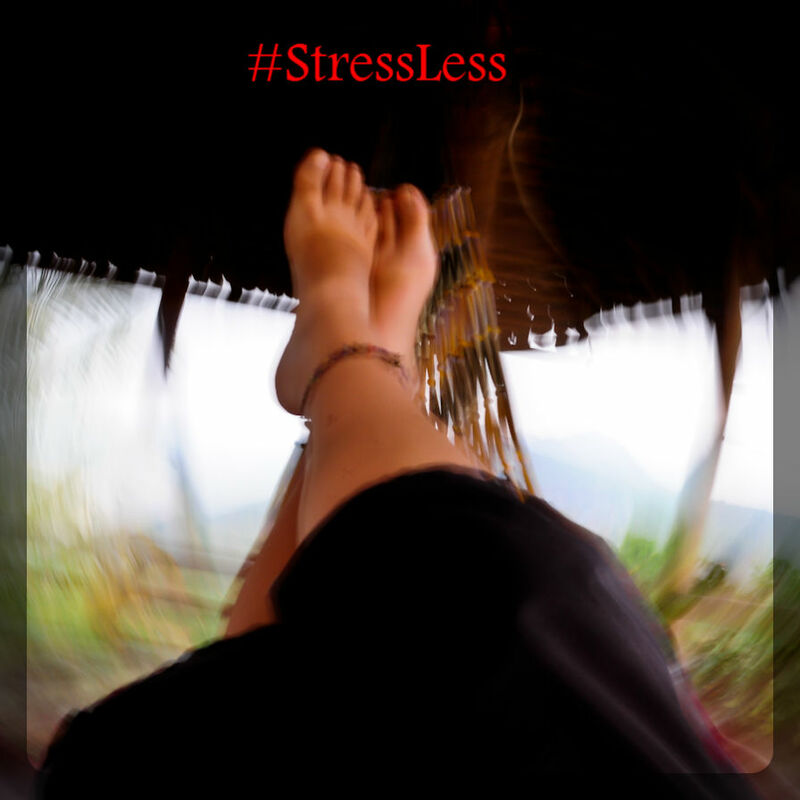 For now… stay calm and #stressless! * I am a member of the Mumsnet Bloggers Network Research Panel, a group of parent bloggers who have volunteered to review products, services, events and brands for Mumsnet. I have not paid for the product or to attend an event. I have editorial control and retain full editorial integrity. I keep it a routine to serve vegetables in every meal as much as possible. Really helps in everyday diet. great tips! I love these tips. I may not be able to do all of them but I am with the sleep. I can now sleep earlier than usual. I used to have problems with my insomnia. SO now, I am happy. I find list making to be a good thing, it’s satisfying to cross things off and when something gets pushed to the bottom of the list, I stop feeling guilty for not getting it done. That bit about work-life balance makes so much sense. I think us mummy bloggers are such hard task-masters! Very uplifting post , I wish I can work on my own no boss. It would be less stress I think if you are self employed. For now life has to go on and trying to live each day. These are all great tips. Eating well and getting enough sleep helps me deal with stress. You are right being your own boss is tough, we often put too much pressure on ourselves! These sound like good tips – especially the one about you needing to be softer on yourself. I think we could all take notice of that sometimes. Good luck with it all – and don’t let the challenge itself stress you out! Pretty good tips i’d say although I’m in agreement with you about the roasted vegetables. I find raw vegetables go with most meals at this time of year. Interesting. I’m with you on the roasted veg, plus they take ages to cook compared with steaming or boiling!